How to Work & Travel on a Houseboat. 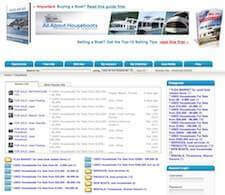 What kind of work or jobs are available while on a houseboat? 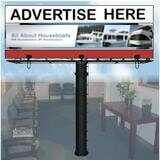 My wife and I want to buy a houseboat, and travel along the coastline of the United States. We are wondering how to earn a living, or a good job for people that want to travel all over in their houseboat, and not have one set location. What kinds of jobs or work can they take up? Also, I really don't know if this is true or not, but do you have to have a drivers license to drive a houseboat? One more thing, what are some good spots along the United States coastline that are cool to visit. Well George, many people are presently living, traveling, and working from their houseboats. You will find more details about the types of jobs or work that is possible while houseboating on our houseboat living page, go to the "How to Earn a Living while Aboard" section. Driver's License, True or False, well from my understanding you don't need a drivers license to drive a houseboat, yet depending on your jurisdiction, you may need to take a basic boating course. Cool Places to Visit in the USA, there's a wide area to cover, yet on the east coast of the US, you can travel up & down the ICW (Inter Coastal Waterway), or do an extended trip and travel the Great Loop. 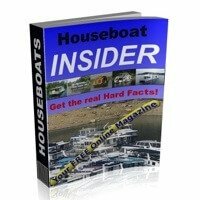 Hopefully some of our readers will share and post comments about their experiences for working and earning a living while aboard a houseboat. The general opinion is that a boat is most fuel efficient at hull speeds. Poppycock! 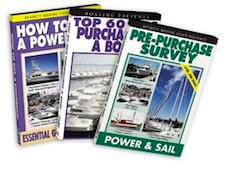 I have run several high powered boats, sailboats, motoryachts, offshore fishing boats and small cruising boats. I found that cruising at just above idle speed does the best for me. I could run my sailboat down the ICW at 1600 RPM's and get about 10 to 12 MPG and 6 to 9 knots where as increasing to 1800 RPM's would nearly double the fuel consumption. My 40 foot Chris-Craft had twin Chrysler 440's. Up on the water it burned something like 20 GPH and still only got about 16 knots. At 1,000 RPM's it did 10 knots and burned 5 GPH combined. Or about 2 miles per gallon. I find that the bigger wake you are making, the more it costs to make it. Getting the fuel usage down will require some expirementation and sticking to the test run. If you are testing the cruise at 1600 RPM's then stay at 1600. Don't be seeing if it will come up on plane if you increase it and slow it down. I would set the throttle and forget it for the entire day. Try several different RPM's and don't vary from what you are trying on that particular day. I would run the boat at 1,000 RPM's for an entire cruising day and measure what it took to fill the day tank back up to the exact mark on the dipstick. The next day do it again at a little higher RPM and when the tank starts to take more to fill it you have found the maximum fuel saving speed. If you don't care how much fuel you burn over several thousand miles then by all means, shove the throttle through the dashbord. Nobody but you will care how much it costs you to fill your tank. I just like having as much money in the fuel kitty that I can. No money means that we have to stop. After all, the best part of any trip is the time between leaving the starting point and arriving at the destination. Why rush it? 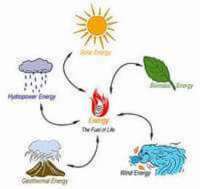 Why not save fuel AND money? Just my thoughts on fuel savings. Russell, very well said, and there is some very realistic observations on gas mileage, or houseboat fuel economy. If you have any qualification in electronics, marine electrician, computer repair, marine engines, marine A/C units (one of the top choices) metal fabrication, hairdressing, scuba work diving, you should have good luck finding employment. I would like some information regarding fuel consumption for a 35 to 50 foot houseboat, something like a Gibson houseboat. I know many factors come into play; however, as an average with twin 350 or other V8 engine of similar size, the per hour gallon of fuel consumption at what possible cruising speed. Lets say 2800 to 3200 RPM. Well Joe, to give you a ballpark number about fuel consumption, you can figure on between 1/2 to 1 mile per gallon (MPG) on a houseboat of those sizes. There is a lot of factors that influence your houseboat mileage or fuel consumption. Since you mention a 35 to 50 foot Gibson, these two houseboats will differ when comparing fuel consumption, but you can figure that you will burn between 10-15 gallons per hour (GPH) for the 35ft, and between 20-30 gallons per hour (GPH) for the 50ft Gibson. You have two choices to regarding your fuel consumption. 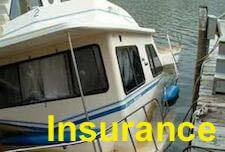 One is to use "hull speed", and the other is to get the "houseboat planing". If your interested in reducing your fuel consumption, or improving your mileage per tank, have a look at our most popular Houseboat Mileage Tips. Lastly, hopefully some of our readers will share and post comments about their houseboat fuel consumption numbers.